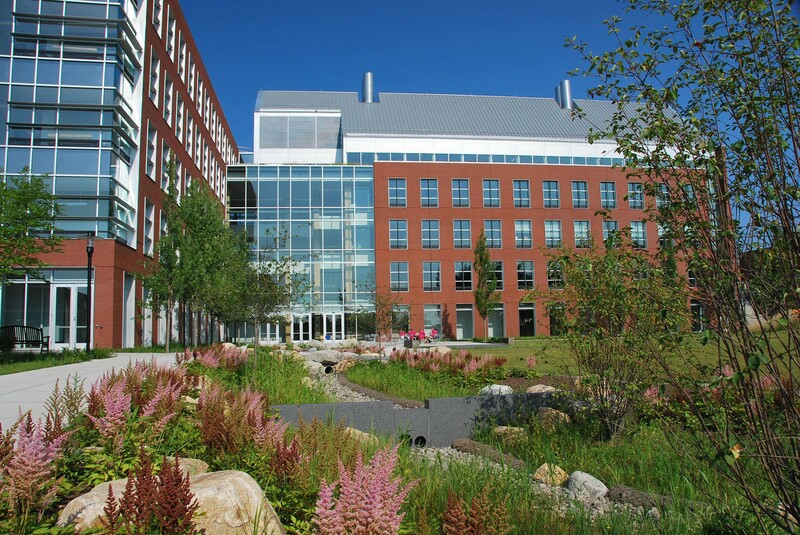 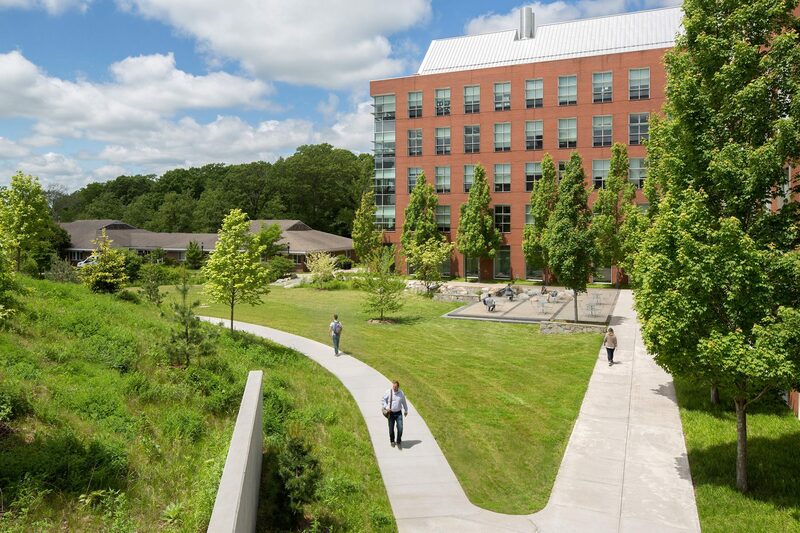 CRJA-IBI Group provided full site design services for a new LEED Gold Center for Biotechnology and Life Sciences in URI’s North Campus sustainable development zone. 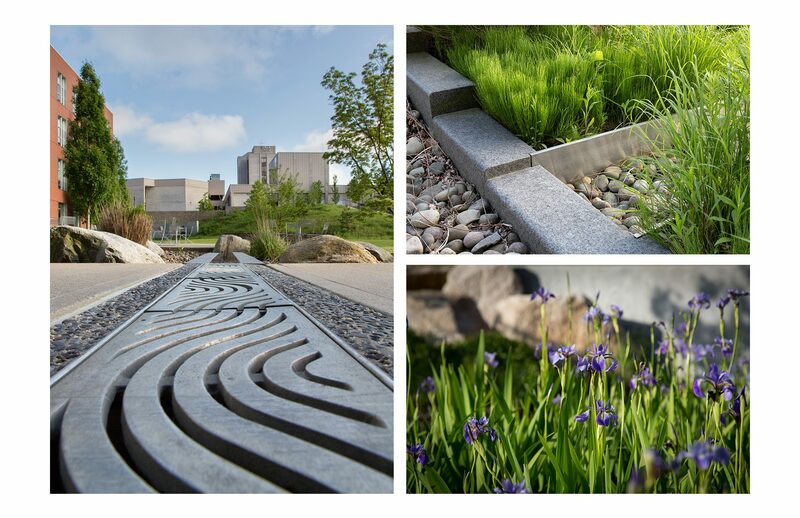 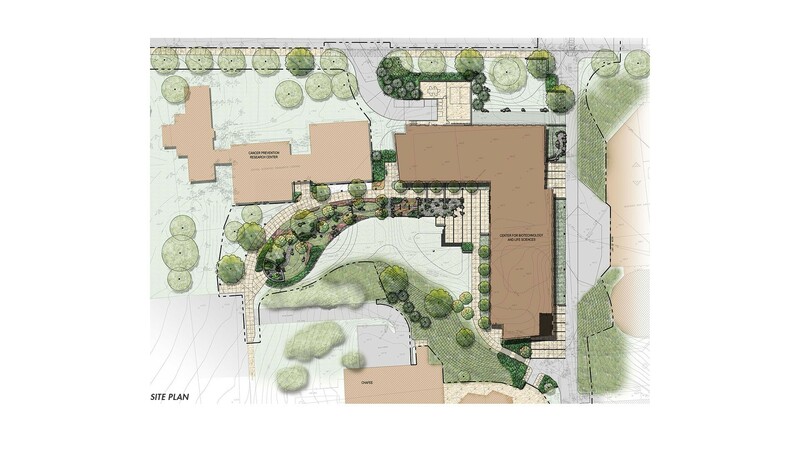 The showpiece of the landscape design is a rain garden and integrated stormwater feature that demonstrates a new way to conserve and treat water. 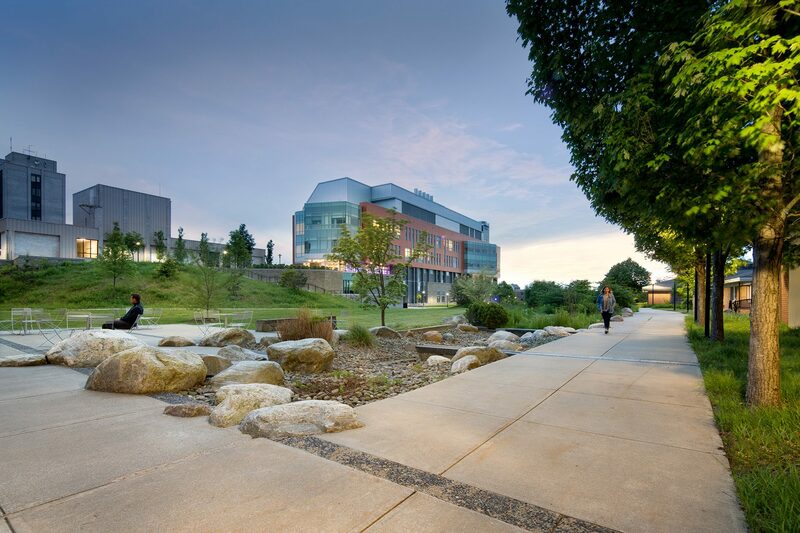 It has become a living, working ecosystem that engages the community and teaches how a sustainable design can be both beautiful and beneficial. 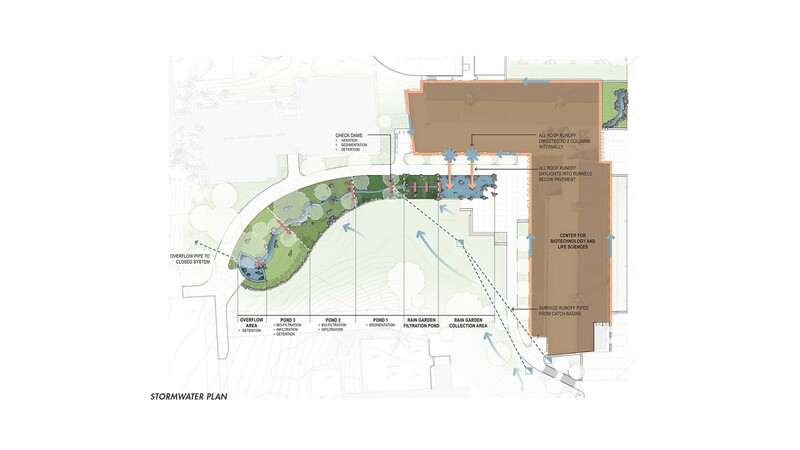 As part of an early feasibility study, CRJA-IBI Group evaluated the possible reuse of an existing underground building and/or an entirely new building. 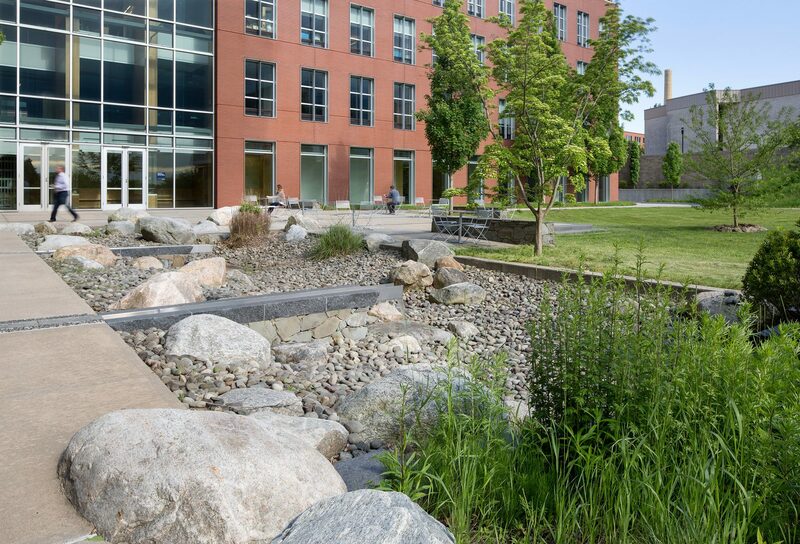 CRJA-IBI Group also participated in two sustainable design workshops on the campus, and worked with the architects to develop site concepts compatible with the goals of the sustainable neighborhood design master plan. 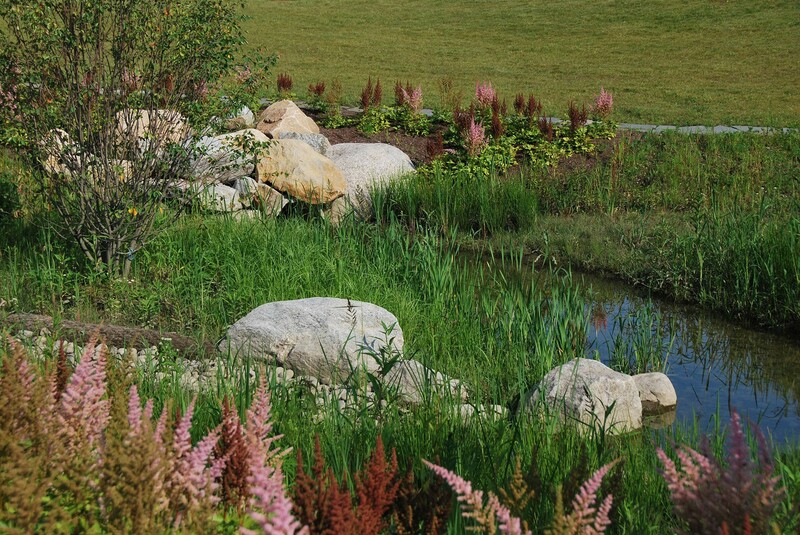 Key design features of the CBLS site include rain gardens and stormwater detention features designed to improve the quality of a deteriorating watershed while providing an educational opportunity. 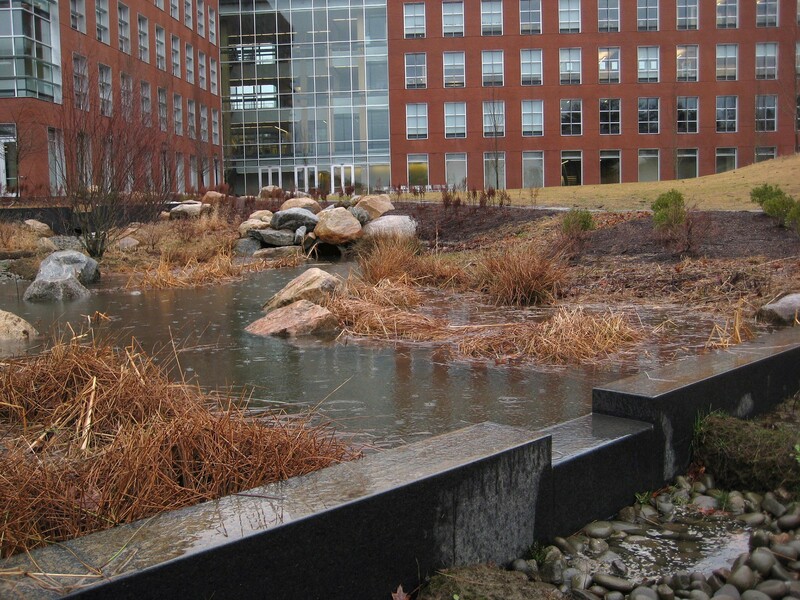 The project is registered as a Rhode Island Stormwater Low Impact Development.